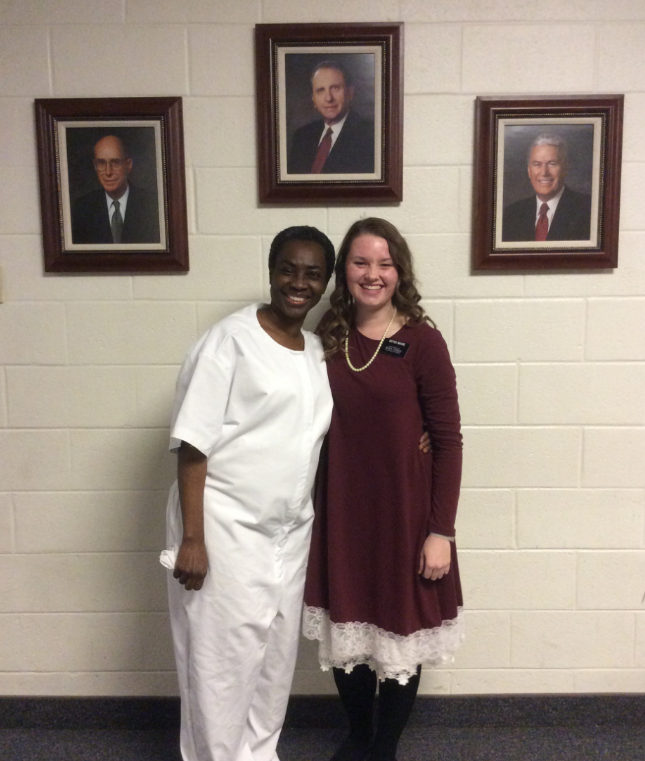 Ola was baptized this week!!!! It was so exciting! Even though there were a million things that could have made the baptism cancel this week, it all worked out. Heavenly Father was definitely testing my “how do you deal with stress” skills (the answer is terribly and I was stressed all week 😉) just kidding I actually did surprisingly well keeping my cool, knowing that everything would work out. Satan tries so hard when you’re about to do something that is SO important! But God always wins. When Ola got out of the water she was crying and she said she was just so happy. I love her! Also her story because I don’t think I ever told that…she is from Nigeria and moved to the US December 2015 but then had to move to Bowie last October. She wanted a church to go to and when she searched church in Bowie our church came up! She got connected with a visitor center sister through Mormon.org and they passed the referral to Bowie! But the referral never came through…she she waited for 3 weeks and then finally the VC sister called the Bowie bishop and he got the info to the Bowie sisters. Then they arranged for someone to bring her to church and started teaching her! That was one week before I came to the area and then I was blessed with the opportunity to teach her! We love her so much.